In Penang, it is hard to find a Dim Sum place with a decent environment. 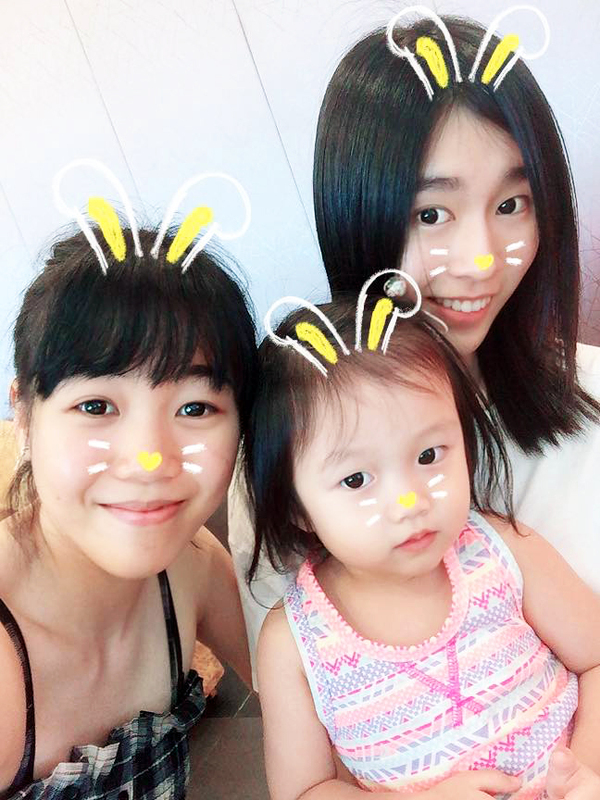 Hot weather and mostly overcrowded and chaotic coffee shops (aka kopi tiam) don't really allow one to indulge in the pleasure of eating dim sum with one's family and/or friends. What if I tell you now that there's a new place in town that offers a choice of outdoor seating with seafront view or indoor seating with air conditioning, a variety of made-to-order dim sum choices, and abundant parking spaces? Now, that sounds like a legit place to enjoy dim sum now, doesn't it? 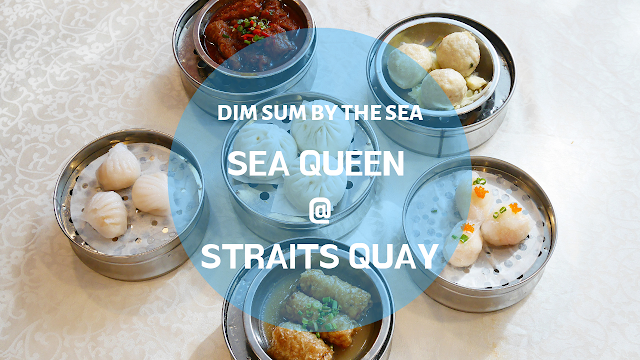 Located at Straits Quay (Ground Floor), Sea Queen is now introducing "Dim Sum by the Sea". Led by Chef Lau who was once the royal chef in Brunei Sultan's Office Garden and a culinary expert with 40 years of experience, Dim Sum by the Sea ensures that all of their patrons dine royally at Sea Queen. Dim Sum by the Sea vows that they only use the freshest ingredients in their food preparation process. They biggest selling point is that every single piece of dim sum is only made from scratch when your order is placed. Talk about getting the royal treatment, huh! Outdoor seating area overlooking the sea and pier of Straits Quay. For me, I'm all about having air conditioning because I always sweat like a fountain! This is a must-eat dish. I ate 2 of them because it was so delicious. Greedy I know but I'm not sorry when it comes to yummy food!! Crunchy on the outside with sweet juicy BBQ pork in the inside! What is dim sum without a dish of crispy salad shrimp roll paired with flavourful mayo sauce?! 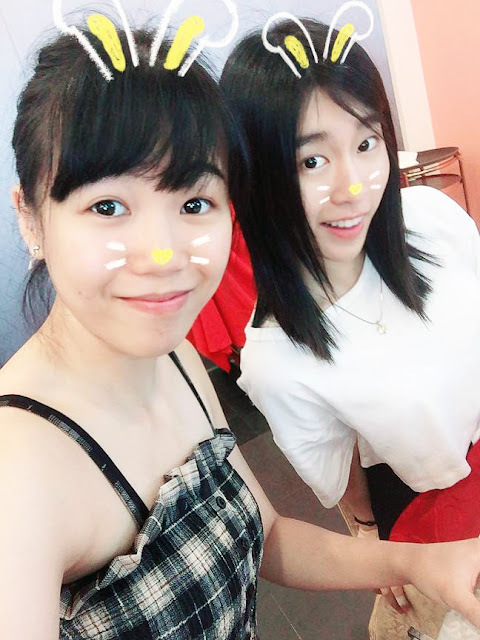 We were told by the owner of Sea Queen that they will only make and steam their Roasted BBQ Pork Buns from scratch whenever an order is placed. Unlike the usual pork buns out there which are mostly made a day in advance for the fermentation to take place. However, at Sea Queen they have their own secret to skip that time consuming part, by making it on the spot to guarantee freshness at all times. Take the advice of yours truly who's a real addict of siew mai and dumplings: you have to order all 3 of these!! Not forgetting a warm hearty bowl of porridge. This big bowl can be shared among 2-3 people. And it's only RM10 - definitely worth every penny! Be careful when you eat this because the custard was so thick and rich. When I halved the bun, all of its yummy custard essence dripped all over my plate and hands. It's pretty wasteful (and I really had the urge to lick it off my plate) but it proves that Sea Queen's egg custard bun is the real deal! G3, Jalan Seri Tanjung Pinang, Seri Tanjung Pinang, 10470 Tanjung Tokong, Penang.